A man was fatally shot at a self-serve car wash in Edgewater Thursday afternoon. 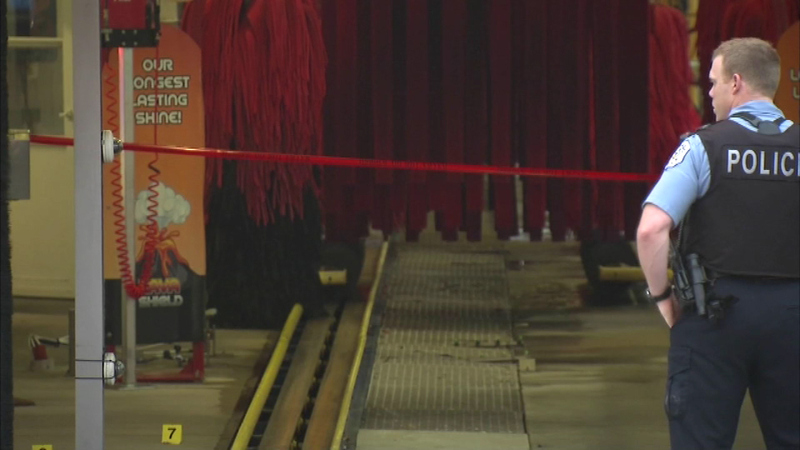 CHICAGO (WLS) -- A 21-year-old man working at an Evanston car wash was fatally shot Thursday in the Edgewater neighborhood on Chicago's North Side, police said. Devone Matthews, of the West Rogers Park neighborhood, was shot in the 5900-block of North Ridge Road at about 4:45 p.m., police said. The shooting happened at a self-serve car wash when a man came in with a gun and shot Matthews in the back. The victim died at a hospital in Evanston.